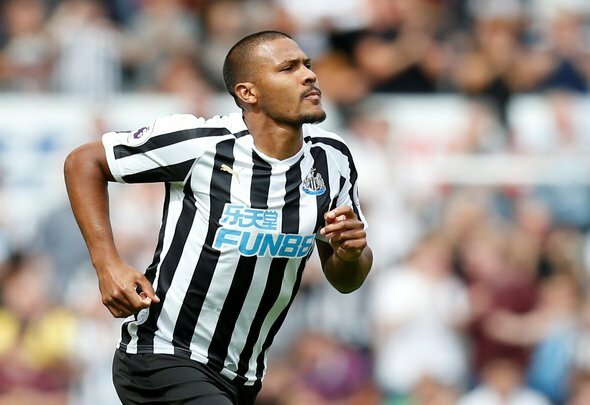 Matt Wilson, the West Brom correspondent for the midlands-based Express & Star publication, believes that Newcastle will trigger Salomon Rondon’s release clause in the summer. Rondon has been impressing in loan in the north east and has scored three goals in his last five league games, adding two assists. His form has helped Newcastle up to 13th in the Premier League, seven points above the relegation zone. Rondon reportedly has a £16.5million release clause if West Brom don’t get promoted. This could increase to £20million if they get back into the Premier League. Wilson made the claim on his personal Twitter page after comments from Tony Cascarino, saying Rondon could be worth £50million in the future. Tony Cascarino was doing a brilliant job as Rondon’s agent this week, saying that he thought the striker could be worth £50million and could go on to be a Champions League star. That might be pushing it a bit but Rondon is showing signs of finally finding the form that Rafa Benitez knew was inside him. He’s on course for a decent return in the Premier League this season and he’s come up with massive goals at the right times in recent weeks. At £16.5million, Rondon would represent a significant bargain for Newcastle and we can’t see any way they wouldn’t make his deal permanent. They certainly won’t find any striker better than him for the same money. Newcastle fans will be hoping that West Brom don’t get promoted – something that only looks likely to happen via the play-offs, if at all. If West Brom do get promoted then it could cost Newcastle an extra £3.5million.